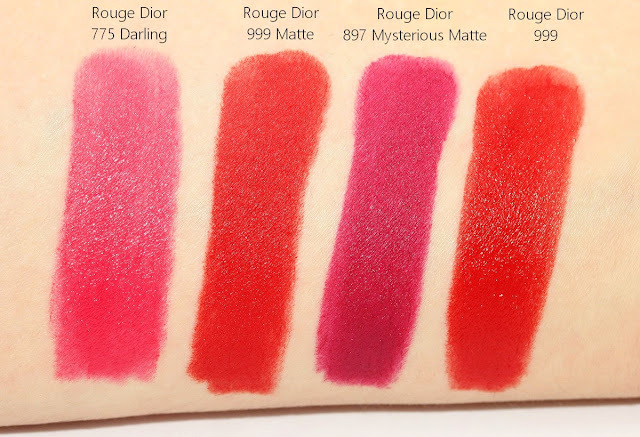 Here I am with swatches of some of the new Rouge Dior lipsticks! 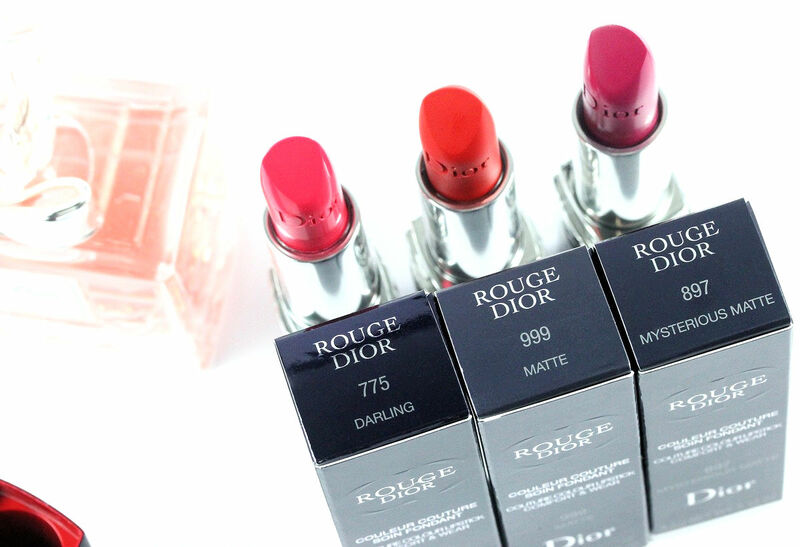 I've already talked about the reformulation of the famous Rouge Dior in a previous article (HERE), but today I have swatches of three of them! 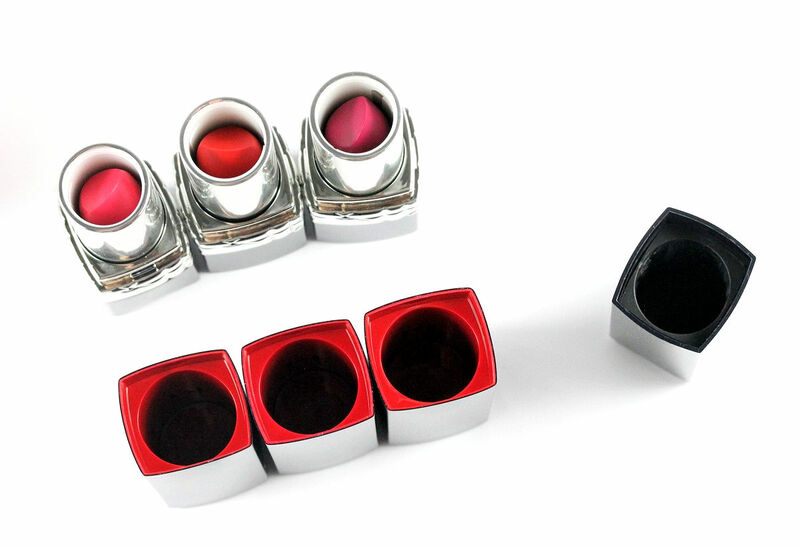 There is an impressive 50 shades range available, 15 of which are in the new matte formula. 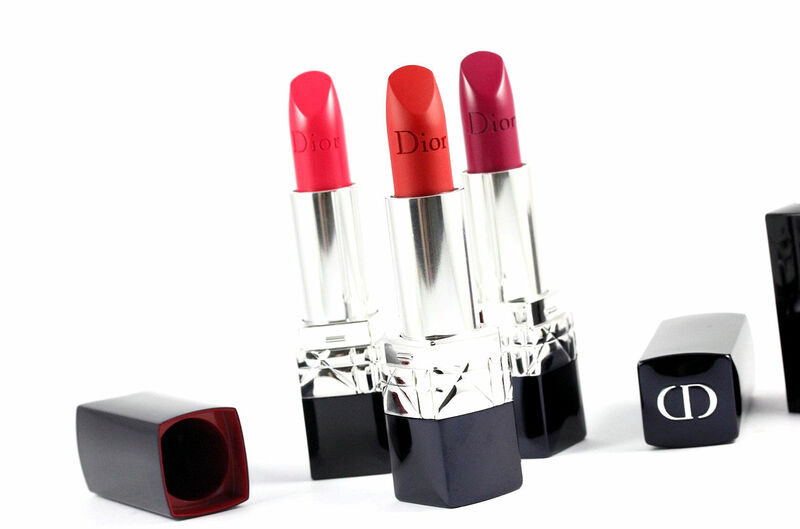 They are divided into 5 colour families: the Legendary Reds, the Passionate Corals, the Pretty Pinks, the Natural Nudes, and the Extremes. The lipsticks are just amazing, they have a perfect formula, glide easilsy on the lips, are not drying even the matte shades and look absolutely beautiful on the lips. 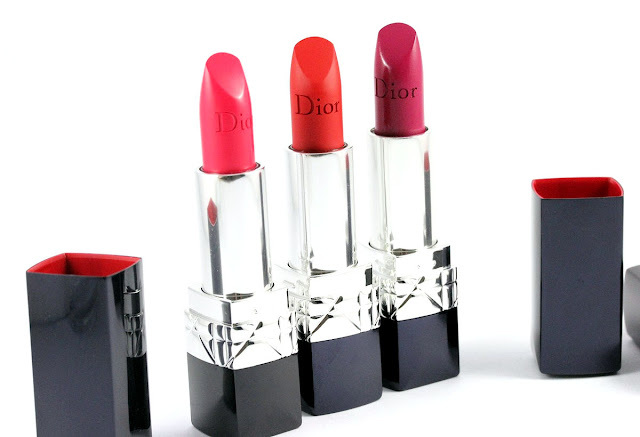 All of them have a rose scent, typical of Dior lipsticks. 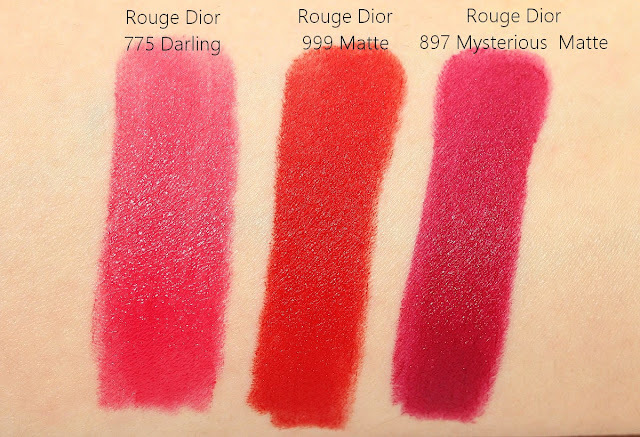 So without further ado, let's jump directly to the swatches! 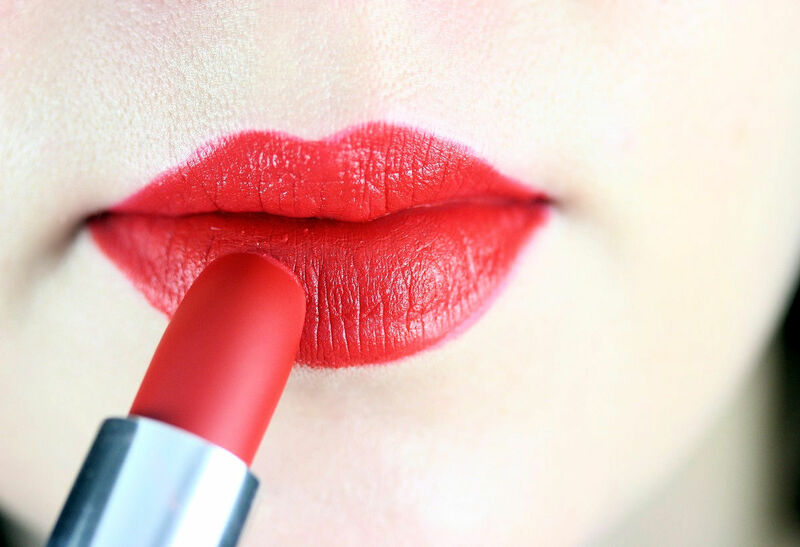 Rouge 999 Matte is the perfect red hue that suits any skintone. The matte finish is not a heavy flat matte, it still has a subtle soft sheen to it and is super comfortable to wear. 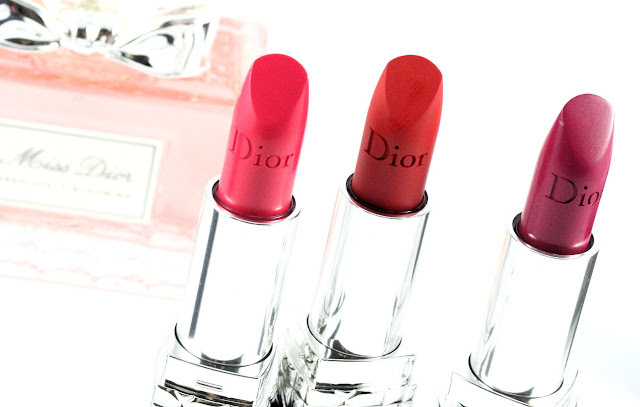 It lasts on the lips 5-6h+. 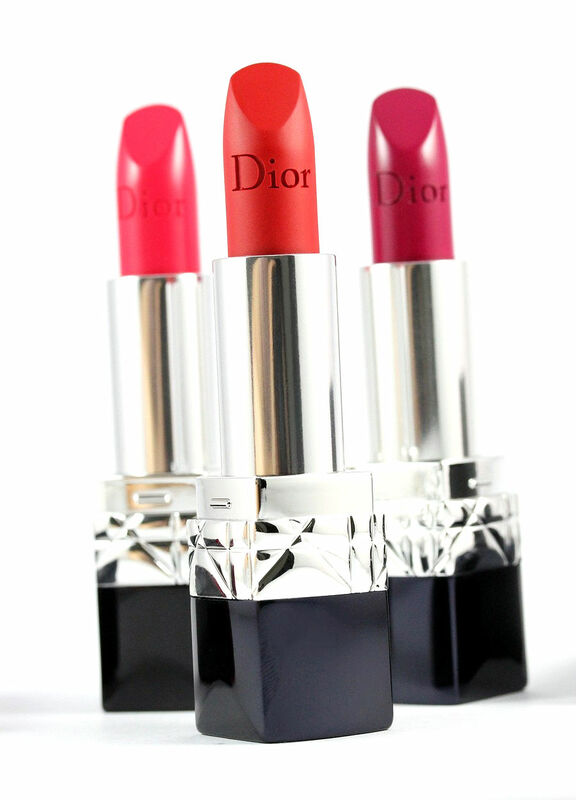 775 Darling is a medium vibrant pink leaning to an almost neon fuchsia. 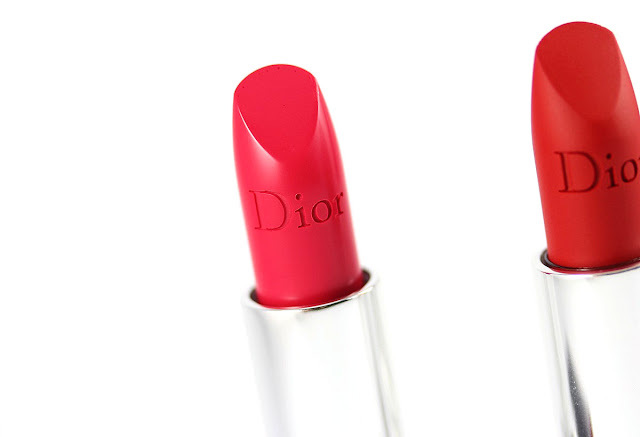 It's semi-sheer/semi-opaque and feels really lightweight on the lips. This one is not a matte shade and some sheen to it. 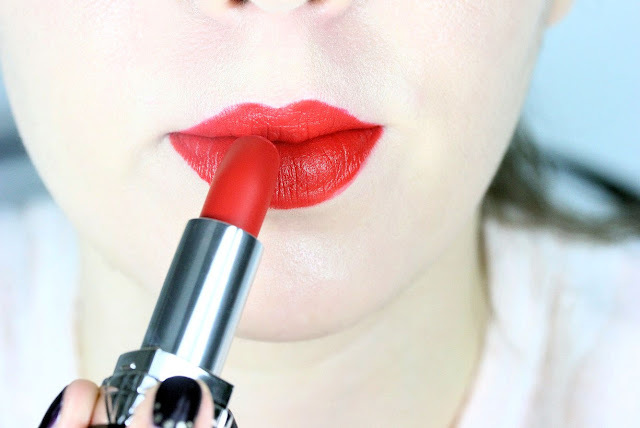 It's one of my go-to lipsticks at the moment. 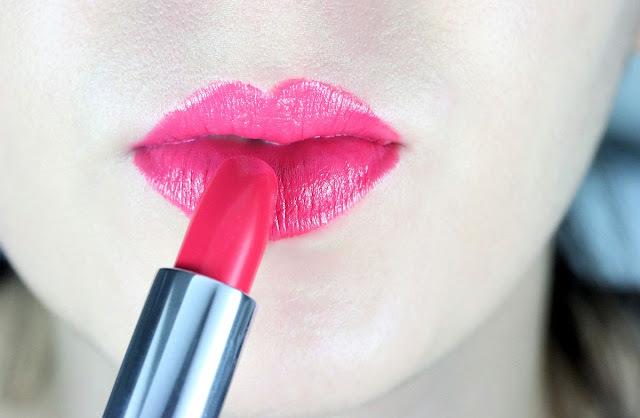 I also like using it as a gradient on bare lips. 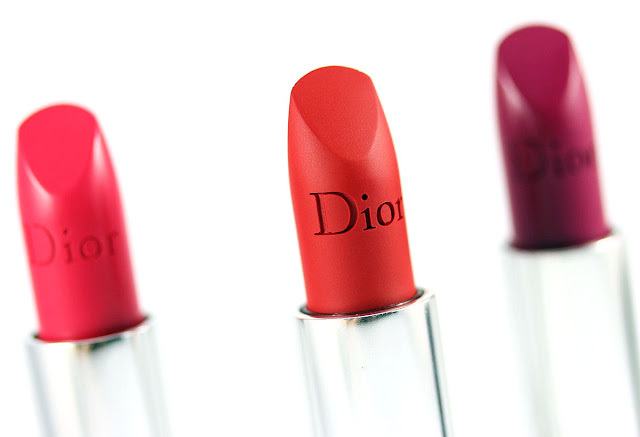 I have a comparison with the orginal Rouge Dior 999 below. 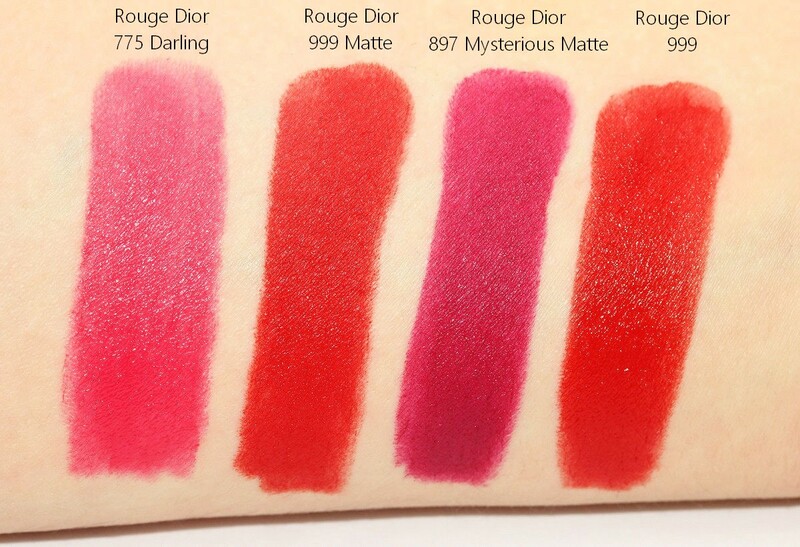 As you can see the color of 999 Matte and 999 is exactly the same, it's only the finish that is different. Both are gorgeous but I think the matte version adds even more elegance than the regular shiny one. 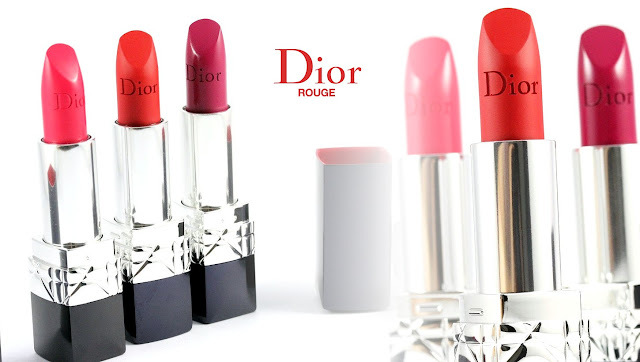 Concerning the packaging, Rouge Dior gets a new look with a sleek metallic design, an elegant closure, perfected to the tiniest detail. 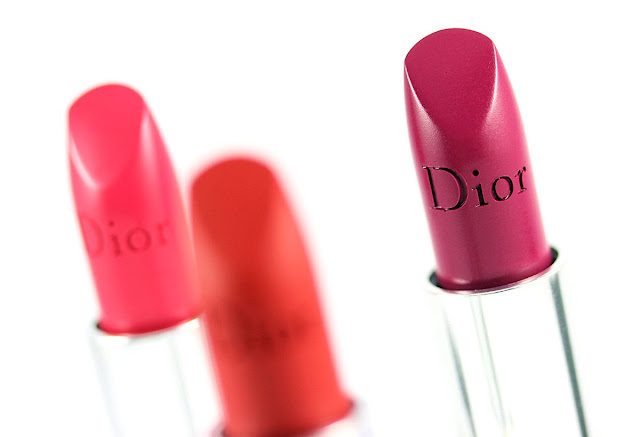 The inside of each cap is cloaked in the emblematic Rouge 999, the signature, couture red of the Dior Maison. 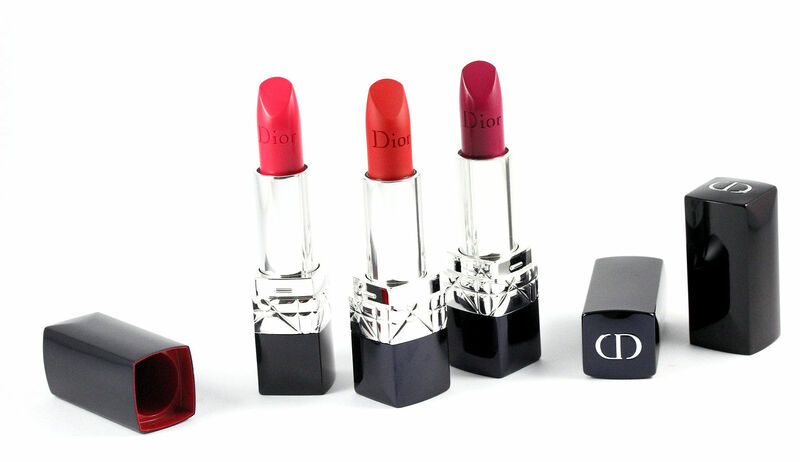 The new Dior Rouge Line is complemented by four Dior Vernis/nail polishes and I got Opening Night. 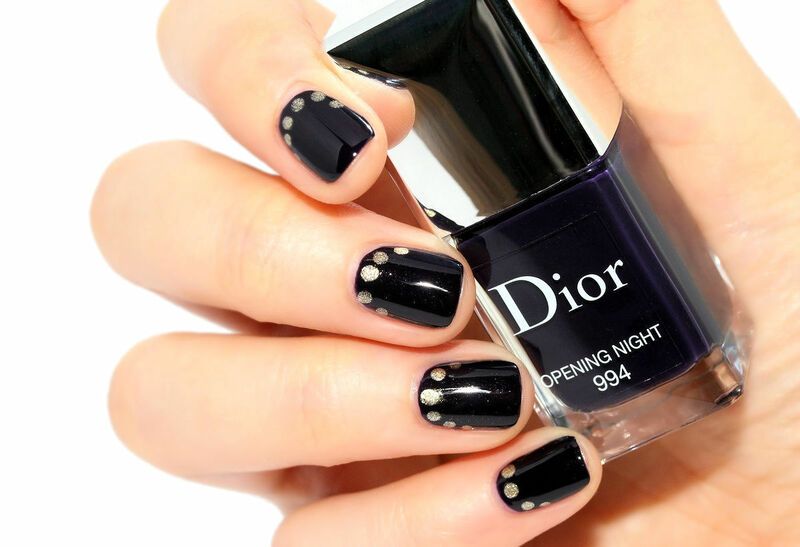 It's a very dark blue polish with Dior microshimmer. I used 2 coats. 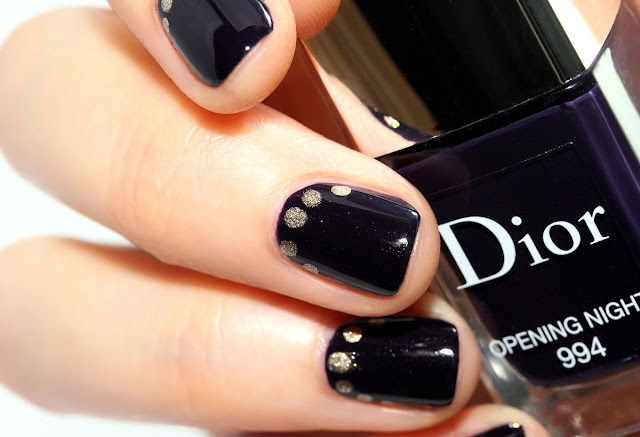 I did the dots with the gold polish from the Dior Golden Jungle duo (2012 limited edition).